Fresh off earning USD $223 million during its opening weekend in movie theatres around the globe, “Wonder Woman” walked off with the Best Of Show trophy at the 18th Annual Golden Trailer Awards. The preview for the Warner Bros. superhero release, titled “What She Is,” also won the Best Fantasy/Adventure Trailer award during a ceremony held on Tuesday evening at the Saban Theater in Beverly Hills. In an unusual twist, two trailer houses were responsible for the now acclaimed “Wonder Woman” trailer; AV Squad and Open Road Entertainment. Based on the awkward tension between the creatives and executives from the companies who appeared on stage together to accept their awards, it seems like the story behind the collaboration could be an interesting one. Those were just two of the 17 prizes handed out during the ceremony for categories such as Best Teaser (Wild Card for “Balde Runner: 2049”), Best Drama (Buddha Jones for “Dunkirk”) and even Trashiest Trailer (mOcean for “Bad Santa 2”). In total, the Golden Trailer Awards selects winners in over 115 different categories, including honors for posters, billboards and television spots. “Wonder Woman” may have stolen the headlines from this year’s Golden Trailer Awards, but “The Lego Batman Movie” earned the most trophies, winning a total of five including Best Animation/Family and Best TrailerByte for a Feature Film. The combined seven awards between the two movies helped Warner Bros. earn the most prizes; a total of 26 when accounting for those awarded to HBO and New Line Cinema titles. And unlike certain film festivals, the Golden Trailer Awards invites shows and movies from streaming services to vie for honors. Thus the seven awards Netflix won this year. For the creative agencies and vendors, the Golden Trailer Awards continues to provide a valuable opportunity to promote their best work. This vendors whose names were read aloud most often this year were Mark Woollen & Associates who worked on the “La La Land” trailer and won 10 awards, AV Squad who topped out at 8, as well as Trailer Park and Concept Arts who each won 6 awards. 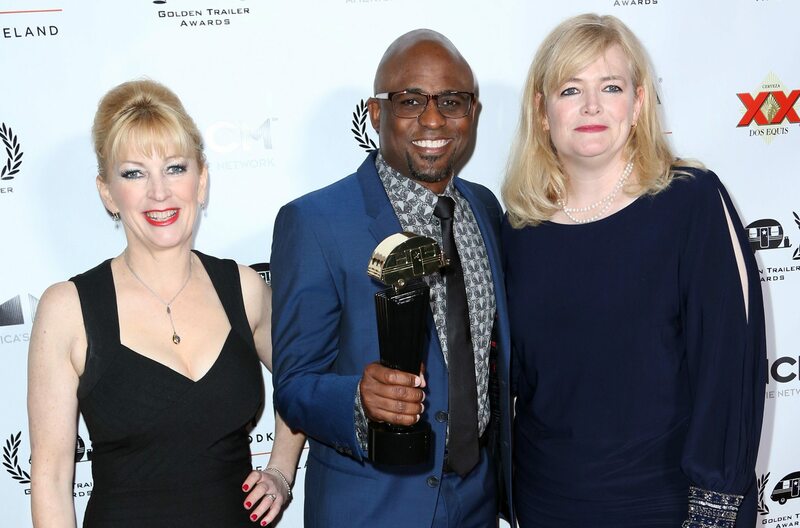 Founded by Evelyn Watters and Monica Brady in 1999 to honor achievements in motion picture and television marketing from around the world, the Golden Trailer Awards continue to grow bigger with each passing year. In fact Brady confirmed the event’s organizers received more submissions than in previous years. For the second year in a row, comedian Wayne Brady hosted the Golden Trailer Awards and outdid himself by beginning the show accompanied by a human beatboxer for an impromptu freestyle rap filled with references to trailer editing. Read the official press release for a complete list of 2017 Golden Trailer Award winners.